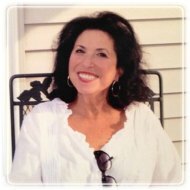 East Lansing Therapist: Barbara Rossen - Therapist 48823. The therapeutic process is designed to facilitate change and release one from pain and suffering. I believe we all want to be happy and have the capacity for happiness. Therapy will be a collaborative effort between us where we address your concerns and navigate your journey from crisis to wellness. I am most helpful in aiding people find their true voice and to live their lives more fully and authentically. I am highly interactive in the process and even use humor and story telling in helping others find their path to happiness. It is true that living an authentic life, where one's thoughts, feelings, and behaviors are in synchronicity, brings about lasting happiness. My job is to help with and facilitate that process. I see clients in my home office. I love to work with clients who are motivated for change. I enjoy helping them along their process to a happier and more fulfilled and meaningful life . I work with couples, married and unmarried, straight or gay to help facilitate the positive change they are looking for. I also have a unique specialty in working with people struggling with eating disorders of all types. I conduct face to face, email, phone consultations, instant messaging, Skype and video sessions. My approach is integrative. My orientation is solution focused. The challenge and the reward of this work is in making a deep empathic connection with you who are seeking therapy and wanting to make important life changes. I will facilitate you in living a more genuine and happy life.